6:00 AM, Sunrise at Griffith Observatory in Los Angeles. A Hollywood Hills landmark, it can be found overlooking the LA Basin from its perch on Mount Hollywood. 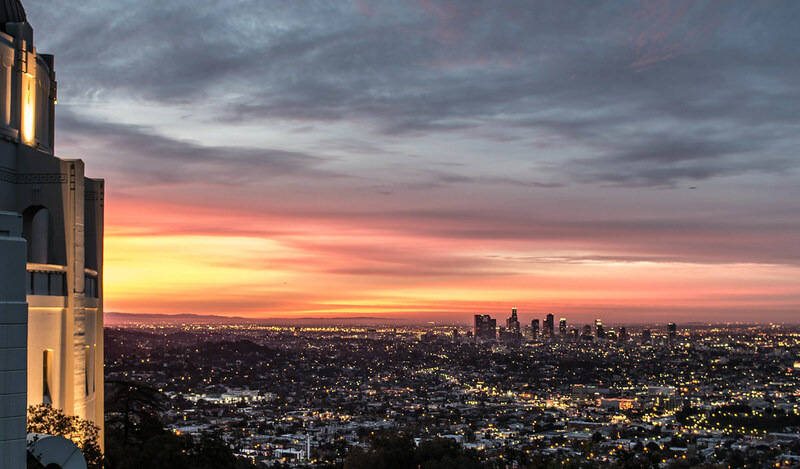 The views of the city are what attract most visitors to Griffith Observatory. 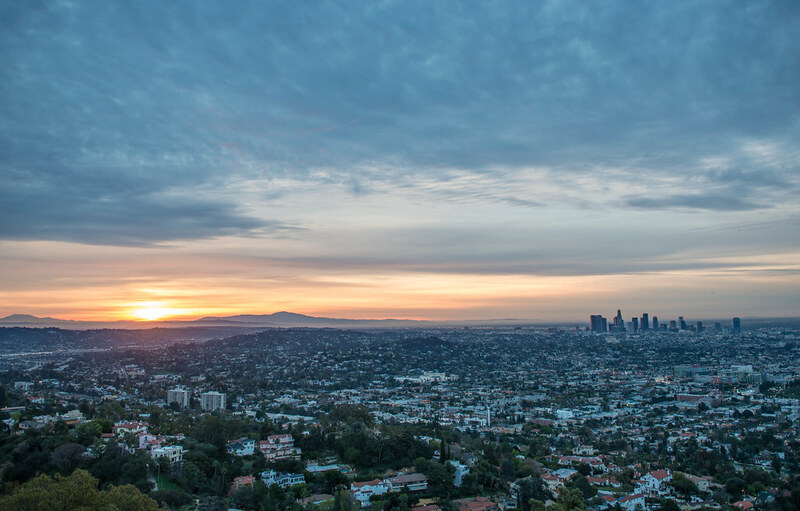 It commands a view of the Los Angeles Basin, including Downtown Los Angeles to the southeast, Hollywood to the south, and the Pacific Ocean to the southwest. The observatory is a popular tourist attraction with an extensive array of space and science-related displays. Since the observatory opened in 1935, admission has been free, in accordance with Griffith’s will. 3,015 acres (12.20 km2) of land surrounding the observatory was donated to the City of Los Angeles by Colonel Griffith J. Griffith on December 16, 1896. In his will Griffith donated funds to build an observatory, exhibit hall, and planetarium on the donated land. Griffith’s objective was to make astronomy accessible by the public, as opposed to the prevailing idea that observatories should be located on remote mountaintops and restricted to scientists. – Wikipedia. You might recognize this picture as some of the scenese of the movie “Nightcrawler”, main character featured by Jake Gyllenhaal. If you get the strength to wake up at 5:00 AM, park your car at the top and wait for some of the most breathtaking views of the this megalopolis. most powerful after all these google algorithm updates. websites in google’s search results. You deserve to be in top-10.